£9.45 each with free P&P. 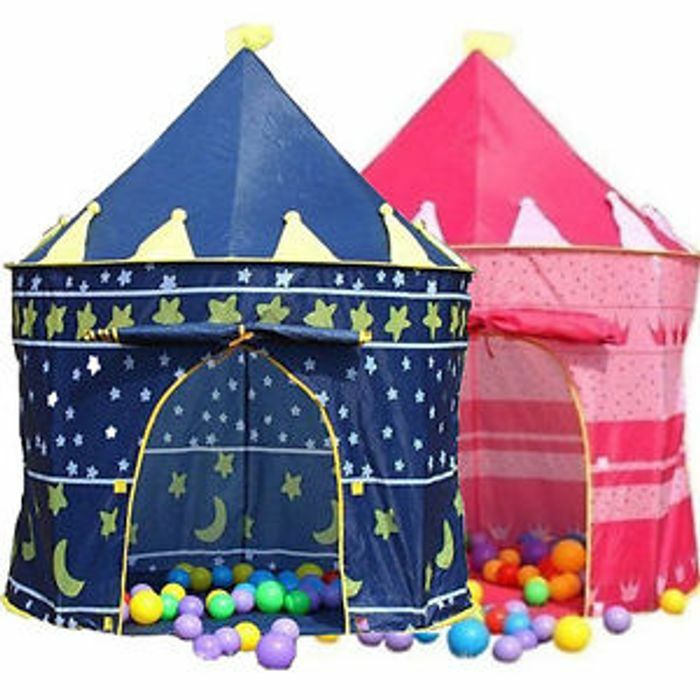 These beautiful Castle Play Tents are easy to set up and take down and are great for indoor or outdoor use. Kids can have hours of fun going in and out of their colourful tents. The door curtains can be rolled up, which extends the play space. Simple to assemble in 10 minutes, the tent comes with poles for support. Also included is a convenient carrying case that makes transporting and storage a piece of cake. Easy to clean, you just need to gently wipe dirt with a damp cloth and they are made from fire retardant polyester material for safety. Available in either Pink Princess for girls or Blue Wizard for boys. Ah thanks for posting Johnny. I've been looking for something like this. Really cute, would be perfect for my cousins! Free Exclusive Avengers Gifts with Marvel Purchases!